« Monsanto’s Terminator Making a Comeback? Enter the Zombie! 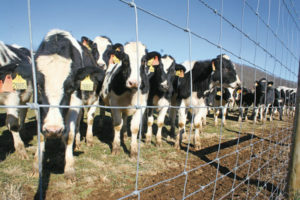 Would You Call 60,000 Cows Fenced Together on a Dirt Patch a Farm? By Lisa M. Hamilton, Prairie Writers Circle. Between 2002 and 2007, the United States lost 43,603 real farms — we can’t let agribusiness control our food supply. When the Agriculture Department released its 2007 census recently, the news appeared surprisingly good: For the first time since World War II, the United States did not lose farms, it gained them — 75,810, to be exact, for a total of 2.2 million. This loose definition is meant to err on the side of inclusion, but ultimately it just errs. Take, for example, the four chickens I keep in my back yard. I sometimes sell eggs to neighbors, and at the going rate I could make $500 a year. If I got four more hens, my suburban home could qualify as a farm. Silly, right? But where do you place the lower limit — or the upper limit? The Cargill feedlot in Lockney, Texas, consists of 60,000 cattle kept in dirt yards and fattened on feed grown elsewhere. Is that a farm? While the census says yes, most Americans would say no. So then, what is a farm? To answer that, we must first ask: Why do we care? Really, why is it good news when farms — and, more importantly, the farmers who run them — increase? There are sentimental reasons, of course, but there is also a practical reason. Farmers are valuable because they bring human scale to our massive food system. Think of how many people, in the wake of each new salmonella scare, turn to the farmers market. We do so because we know that farmers bring oversight and ethics to food production, contributions that only individual humans can offer. In the future, farmers’ importance will only grow. Their intimate, human-scale knowledge of the land is what will allow agriculture to adapt to climate change. And as the cheap energy that industrial agriculture depends on disappears, it is farmers, with their small-scale innovation and sheer manual labor, who will feed us. Why do we care about having more farmers? Because deep down we know they are essential to a functioning food system. So I offer this new definition of a farmer: someone who grows crops in sufficient quantity to be a true commercial entity, yet is still close enough to the ground to bring human scale and values to the process. Not the backyard chicken enthusiast, nor the corporation behind the feedlot, but the individual human on the land, growing our food. Revisit the census with this definition, and the good news vanishes. The USDA’s reported increases occurred exclusively in farms with yearly sales of less than $2,500 or more than $500,000 — that is, the backyard operations and the corporate-scale businesses. In every other category, the numbers dropped or, in one case, stayed the same. Between 2002 and 2007, the United States actually lost 43,603 real farms. To stop this hemorrhaging, we must shift from blindly encouraging production to investing in a system that values farmers and propagates them. We need to help new farmers obtain markets, land and credit. And we must inspire nonfarmers to enter the profession. Imagine, for instance, a program that puts interns on farms — an AmeriCorps for agriculture. In this “AgriCorps,” participants would learn the skills of farming and experience the lifestyle; hosts would receive valuable labor to bolster their businesses. Such a program would face an obvious objection: AmeriCorps offers volunteers to public service organizations, but most farms are private businesses. Why should the rest of us help support them? But maybe we need to reconsider that line of thinking. By defining farms and farmers as purely economic entities, we condemn them to a system that inevitably eliminates them. What if instead we began to see farmers as the public servants they are, and enabled them to be the public servants we need: stewards of our soil and water, pillars of our rural communities, and guardians of our food. Perhaps by redefining what farms mean to us, we can help their numbers grow — this time, for real. Lisa M. Hamilton is the author of the new book “Deeply Rooted: Unconventional Farmers in the Age of Agribusiness.” She wrote this comment for the Land Institute’s Prairie Writers Circle, Salina, Kan. Hamilton lives in California.Read more about her.